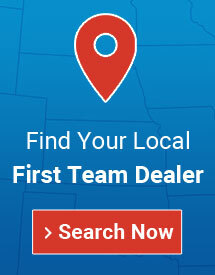 Lacrosse Equipment | First Team Inc. Invented more than 300 years ago, the game of lacrosse is one of the world's oldest sports. First Team Inc. makes top-quality lacrosse goals and accessories right here in the U.S., inside our plant in Hutchinson, Kan. Lacrosse play is fast and grueling, so we make lacrosse equipment that will stand up to years of hard play. First Team lacrosse goals are all made with care by American workers using the best materials available. These goals are tough and durable but are designed with safety in mind and won't cost a fortune. We give you choices, including premium competition lacrosse goals designed for use at school and other competitions as well as economy models that will save you money and which are perfect for practice or for fast and fun back-yard lacrosse games. The lacrosse goals available from First Team Inc. feature an attractive powder-coated orange finish. Featuring 6' by 6' openings, they come complete with nets as well as warranties ranging from our five-year limited warranty to our lifetime superior warranty. Our top-of-the-line lacrosse goals include extras such as extra-tough tubing, mitered, welded corners and easy disassembly and storage without removing the net. They also boast safety features such as a flat style ground bar. 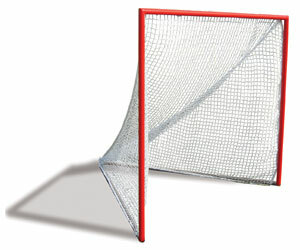 In addition to lacrosse goals, First Team also manufactures lacrosse accessories such as lacrosse nets. Perfect as replacements, these nets are official size - 6 feet by 6 feet by 7 feet - so you'll know the game is being played correctly and fairly for both sides. 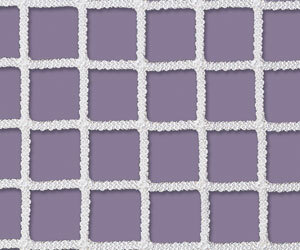 Available in your choice of materials, including bright white and braided white nylon, these nets come with a one-year limited warranty. Looking for a lacrosse field diagram?